Debbie Jordan-Kauble was the central figure in Budd Hopkins’s New York Times best-seller, “Intruders, the Incredible Visitations at Copely Woods”, as well as the 1992 CBS mini-series, “Intruders”, using the pseudonym “Kathy Davis” to protect her young family. In 1992, she revealed her true identity and co-authored, with her sister Kathy Mitchell, “Abducted, The Story if the Intruders Continues”. While more recently she very rarely makes public appearances, she has appeared on The Discovery Channel’s “Investigation X”, the History Channel’s UFO Hunters”, The Sci Fi channel, Unsolved Mysteries, Sightings, Maury Povich, Danny Bonaducci, Oprah Winfrey’s A.M. Chicago, The Dini Petty Show (Canada) as well as others. She has been the guest speaker at numerous universities, think tanks and conferences around the world as well as guest appearances on numerous radio broadcasts and pod casts. She co-hosted her own podcast, Midwest Paratalk, with Gregg Cable and together with Gregg, co-founded the paranormal research team, The Paranormal Underground. 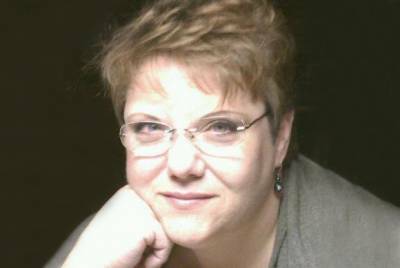 Her special interest in paranormal research is with Electronic Voice Phenomena and she has collected many impressive examples over the last several years. She is a wife, mother to 4 and grandmother to 8. She lives in North Central Indiana, is a member of the Disaster Action Team for the local chapter of the American Red Cross, a member of MENSA, a licensed cosmetologist and works full time as a circuit board repairperson at an automotive electronics parts supplier.